This is probably the most important thing to understand when it comes to mixing. 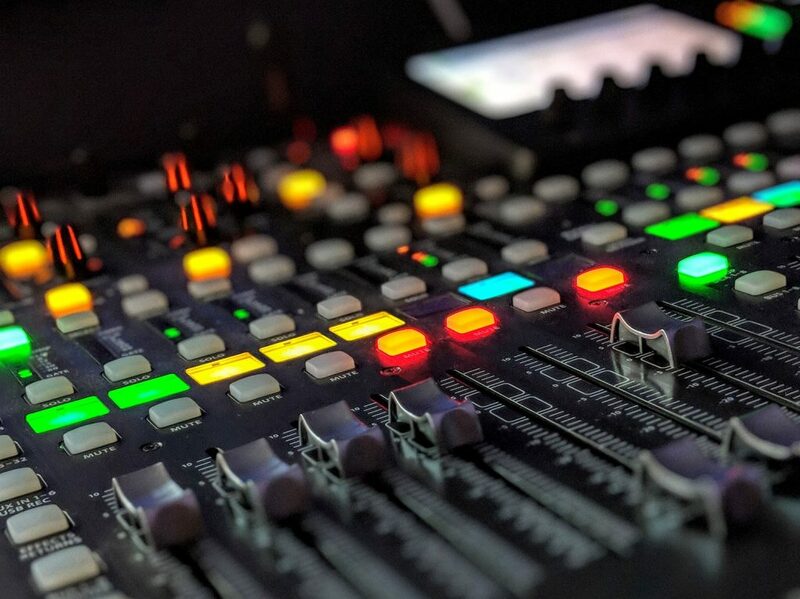 Knowing how to control gain and level is the first step towards running a mixing board. Poor gain and level management leads to feedback, mic noise, and bleeding from channel to channel. In order to manage gain and level appropriately, you must understand the difference between the two. Level on a channel refers to a channels volume output (I’ve italicized that for a reason!). You can think of it as the very last step of mixing a channel. Raising or lowering the level of a channel simply raises or lowers the volume of that channel. Gain on the other hand is a little trickier to understand. The word “gain” is a carryover from the old days where all audio equipment was analog. Analog is pretty much the opposite of digital. Anything digital is a computer simulating analog. 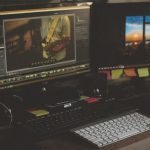 The transition from analog to digital has been interpreted differently from one manufacturer to another and as a result, the definition of gain can change depending on what type of equipment you are using. Some manufacturers use their gain function as another volume knob. The more appropriate definition for gain however is the volume of the input of a channel. Imagine your mixing board as a linear path from the cable down through all of the knobs and finishing with the level slider. Usually the first knob closest to the cable is the gain knob. I like to think of gain as a control for how sensitive your microphone is. I imagine a bubble around my microphone (depending on the pickup pattern) and adjusting your gain is like increasing or decreasing the size of the bubble. Any sound outside the bubble won’t make it into the microphone and anything inside of the microphone will be picked up. If you’re running a mixing board for a rock band and their amps are turned up nice and loud, there’s going to be a lot of noise on stage that could make it into the singer’s mic’s bubble. As a result, on loud stages it is very important to keep the gain low on microphones that are at the front of the stage. You’ll have to communicate this to whoever is using those microphones so that they know to be right on top of the mic, but this is where gain comes into play. When setting your gain and your level volume, the best way to do it is to bring a nice pair of noise canceling headphones and set your gain one channel at a time. Set your level on the channel to 0 dB and the gain all the way down. Slowly bring the gain up until you can clearly hear the signal on that channel through the headphones and the input meter on the channel is floating right around 0 dB and never peaking. Now you’re not done here, but this step should get you to a good starting point for your mix. As you go, you’ll need to continue to adjust your gain little by little, especially if you’re having problems with feedback. So to wrap up this important section, remember that your channel level only controls the output, while your gain only controls the input. Most mixers have 3 EQ knobs per channel, some have 4. 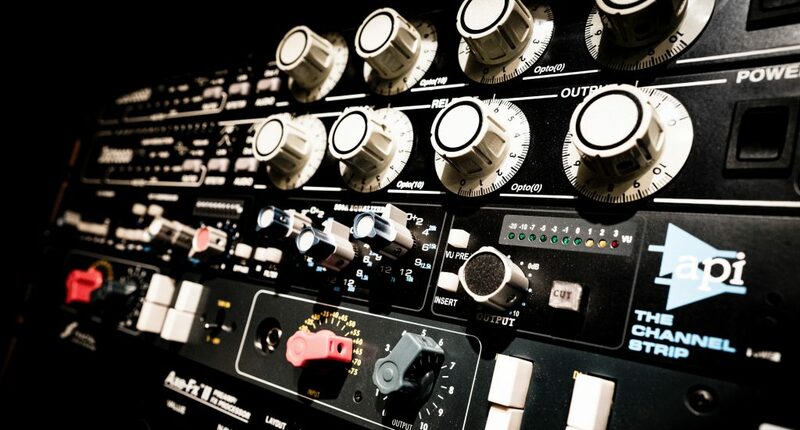 An EQ knob is like a volume knob but it only affects certain frequency ranges. On the mixer they usually read “HI,” “MID,” and “LOW.” The 4-knobbed mixers probably have two MID knobs, one slightly higher and one slightly lower to give you more exact control. EQ is important during sound check. 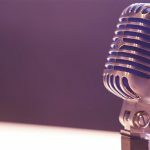 It is how you get whatever is going into your microphone to sound authentic coming out. You want your human voice to still sound like a human voice but a human voice doesn’t naturally project through two main speakers and a subwoofer so you’re going to have to EQ that channel until it sounds natural through your system. Turning the HI knob up and down affects only the volume of the high sounds in that voice. Every sound we make has high qualities, mid qualities and low qualities sounding simultaneously. 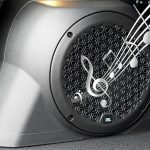 To turn the HI knob up does not mean that its going to be louder when the singer is singing higher notes. 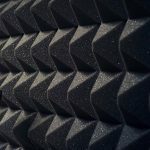 It means that every sound the singer makes is going to have brighter characteristics when it comes through your channel. The same can be said with mids and lows. EQ knobs also come into play when trying to eliminate feedback. Feedback will occur across the frequency range and it doesn’t always mean playing with gain and level to eliminate it. If you hear a high whistling feedback coming across a channel, try lowering the HI EQ on that channel to see if it goes away. If you hear a hum that sounds like a human voice, try lowering the MID on that channel. If you hear a low but steady hum like a note on an electric bass, try lowering your LOW level. Using the EQ to eliminate feedback is usually more effective and less noticeable than adjusting gain and level. This is usually one of the last knobs. The Pan knob allows you to determine whether you want the sound louder towards the left or the right of the mix. Most people leave their pan knobs dead center but I think this is a mistake. You definitely want a little of everything coming out of each speaker so that a member of the audience who is seated on the left side of the stage can still hear what is coming out of the right side of the stage. I think it makes your mix sound more authentic when you have the instruments that are on the left side of the stage sound like they are coming out of the left side of the mix, and the same with the right. We naturally want to see what we hear, and when we see a guitar player standing on the left side of the stage, but it sounds like he is standing in the center of the stage it is distracting for our brains. Using the Pan knob on each channel can give your mix a much more mature sound. This one is easy. The Mute knob simply eliminates that channel from the main mix. If your mixer has headphones, you’ll probably still hear that channel coming out of your headphones, but it won’t come out of the main speakers as long as that button is pressed. Make sure you know what is muted and what is not! These are usually found towards the bottom of the column, but above the pan and mute knobs. Some mixers have built-in effects, which are usually different types of reverb. The controls for the effects are usually on the right side of the mixer, above the main level sliders. The FX knob on each channel determines how much of the FX you would like to apply to that channel. You can always increase or lower the overall FX towards the right, but the knob in the channel column will only affect that channel. Usually you’ll want to add a decent amount of reverb to the vocals, and maybe a little to some of the drums but it’s up to you. AUX knobs can be just about anything! 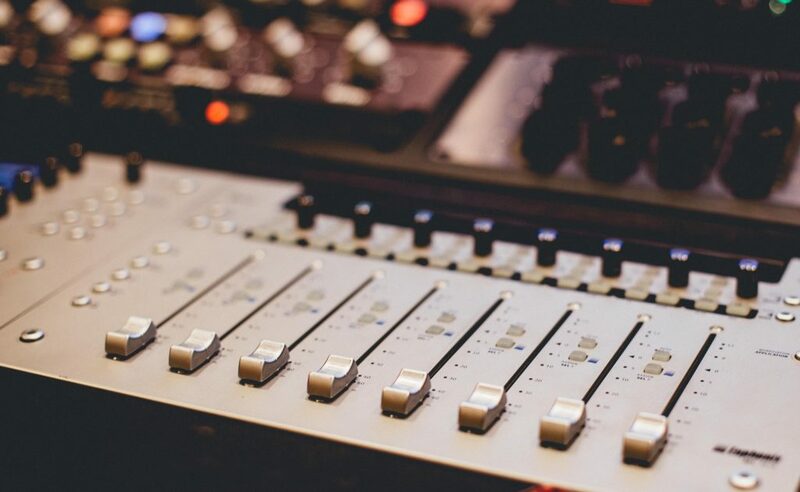 Depending on what you are doing with your mixer, your AUX knobs might be controlling an off-mixer effect that you’re adding with a separate component, but usually most people set up their AUX to control monitors. On the back of your mixer, over by where you plug your main speakers in, you’ll see some AUX outputs and they’re all numbered. I almost always use these for monitors. However many AUX outputs you have is however many independent monitor mixes you can make. 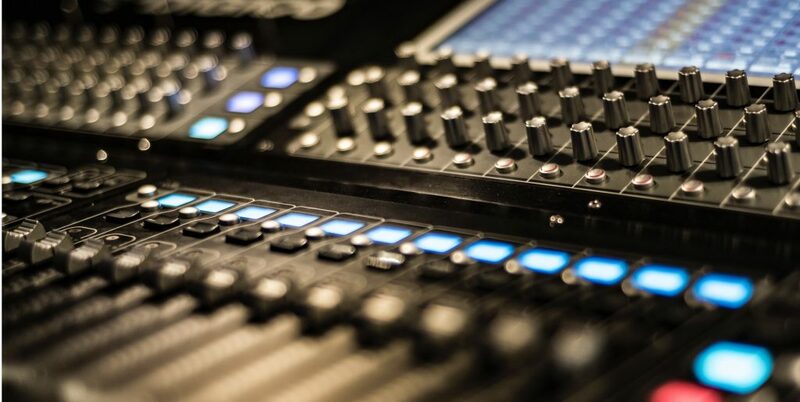 Even if you have a powered mixer, your AUX outputs are never powered, so you’ll need to make sure you’re using a powered speaker or an amplifier. Lets say you have two AUX outputs on your mixer. That means you’ll have an AUX 1 and an AUX 2 knob on each channel. From your AUX 1 output, you’ve connected two monitors that will be up front by the singer and guitar player. From your AUX 2 output, you’ve connected two monitors for the drummer and the bass player. You’ll be able to control what you’re sending to each monitor mix by adjusting the AUX knob on each channel. 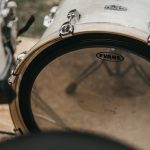 Let’s say that your drummer wants the lead singer’s vocals, and the bass coming through his monitor mix and nothing else. You’ll turn up AUX 2 on those channels and leave it down on all of the other channels. You can also use AUX outputs for additional speakers. If you have a large space and want to put some additional speakers further back in the crowd so that the people in the back are not so far away, you can plug those in to one of your AUX outputs and set up a delay on those speakers so that the sound is reaching your audience all at the same time. You can check your manual for information on how to set up a delay but know that some powered speakers have built-in delay settings so you can set them even if your mixer lacks the ability. Comp is short for compression. You’ll usually find these knobs towards the top of your mixer. Most inexperienced mixers leave these knobs alone because they don’t know what they do! Compression threshold refers to the volume at which your compression will kick in. Essentially, it’s a knob that sets a safety valve on the louder volumes of your channel, to eliminate the chances of that channel peaking. If you have a singer for example who doesn’t quite understand how to work the microphone on their higher or louder notes, you might want to adjust the compression. A compression knob simultaneously does the same thing to the lower volumes of your voice. It will increase the gain on lower inputs while limiting the gain on higher outputs so what it does is average out your sound so that everything is coming across is roughly the same volume in the main mix. In other words, it “compresses” the range of volume in that channel. Sometimes there will be a button just below the gain knob that has a 100 Hz behind what looks like a long division symbol. What this filter does when activated is eliminate most of the low sounds picked up by that microphone. This is kind of like a digital pop filter or wind screen. The low ‘boomy’ sounds created by “P’s” and “B’s” come across as ‘boomy’ through speakers sometimes. These should be activated on almost all channels that use a microphone. 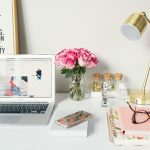 You can leave it off on anything that is digital, like a direct line or a keyboard. At the bottom and all the way to your right are the level controls for your main speakers. These control the overall volume coming out of your left and right speakers. These should almost always be identical in level. Use these faders to turn your entire mix up or down in volume. Above your main faders, you might see some knobs for your AUX channels. This works just like your main faders but turns the volume up or down for your entire AUX mix, so whatever you are sending to AUX 1 will raise or lower together when you adjust that knob. Sometimes there are some knobs towards the right side of your mixer called “Tape” or “Alt out.” You can almost always ignore these. If you have a “Tape” or “Alt in” this might control the volume of an RCA input that is towards the top right of your mixer and labeled “Tape in” or “Alt in.” This is usually where I might plug-in an iPod or computer so I can play house music during down time. This pretty much covers the entire mixer. If you think there is anything I have missed, please email me and ask.